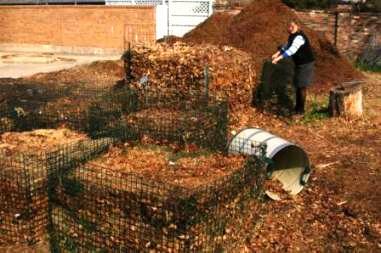 I have never been a big fan of composters and compost bins. Most of the ones that turn or sit on stands don’t hold enough volume and piling the material on the ground seemed to work better. 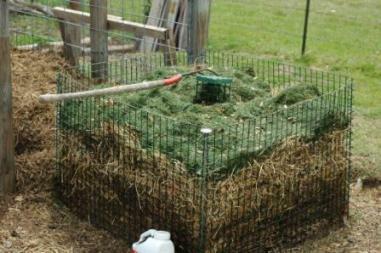 Well, I have found one that is a good value, is durable, is easy to use, and works to make great compost. The Shepherd Complete Composter is equipped with the unique aerator feature, or chimney, to speed the composting process. The compost bin capacity is larger than it appears and bins can be easily joined (no additional hardware or accessories necessary) for added volume. It is made from corrosion resistant coated welded wire, is virtually indestructible and will withstand many years of exposure to the elements. Here's Amanda Vanhoosier showing the Sheppard bins being used in the Coppell Community Gardens. By the way - when not in use, the bins fold for easy storage. 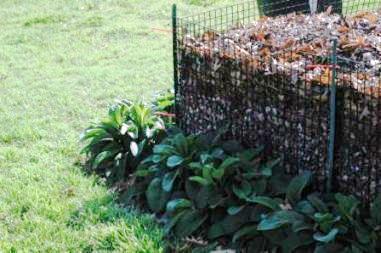 Another great tip - plant comfrey around the base of the bin. Comfrey in the compost is very helpful.